We all know that Italians have a knack for crafting sleek, beautiful automobiles. Ferrari, Maserati, and Lamborghini — if you're the type for such a thing — all produce some of the most lustworthy machines known to man. But did you know that Italians build pretty drones, too? Wait, pretty drones? Yeah, I said it. I realize that such an assessment of a remote controlled killing machine is anathema to many people, but if you look at the machine from an aviation or machine appreciation perspective, it has a nice profile and clean lines. That's more than can be said for most of the goofy-looking flying poles that rain death upon CIA targets (and unfortunate bystanders) and garner the ire of those parades of blow-up doll drone-weilding protesters who file past the White House every weekend. 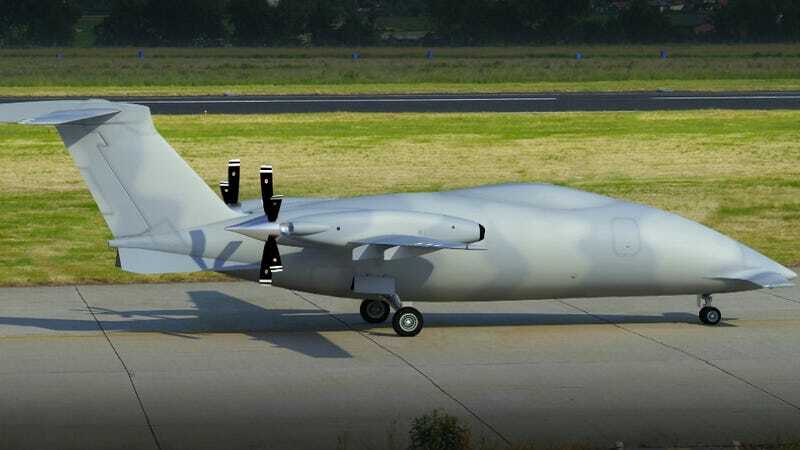 Piaggio Aero's P.1HH HammerHead is a reconnaissance drone that can fly at altitudes of up to 45,000 feet for about 16 hours. It's powered by a pair of Pratt & Whitney Canada PT6-66B turboprop engines and is designed to be an eye in the sky, rather than an attack aircraft. Maybe that's why it looks more friendly than Reaper and Reaper drones, which definitely look both ugly and scary.